Marisa and Fred harvesting grapes. They filled 4 five gallon pails which I started juicing. We will be harvesting more tomorrow and I am juicing them down. I love living on the farm!! We call this a honey farm but there’s really so much more than just honey. We did pull off a bunch of honey early and there looks like a whole lot more will be coming. 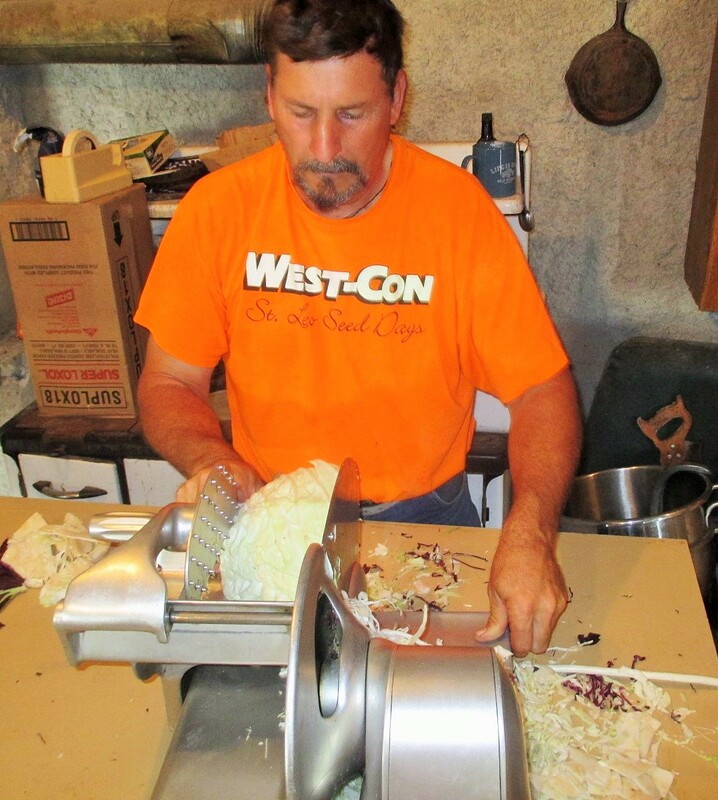 Fred chopping cabbage for 100 pounds of Kraut! We have been super busy on the farm here lately! It seems like all the produce is coming in at the same time. All of the sweet corn is in the freezer and half of the beets canned. The butcher shop smells of fruit and a ton of Fred’s wine. He has the wedding wine (Apricot) brewing for Clayton and Angelica’s wedding and is going to start the elderberry, grape and plum wine next, some for the wedding celebration and a whole bunch for us and our friends. The butcher shop is full, and I mean FULL of different wines brewing. Holy Cow!!!!! 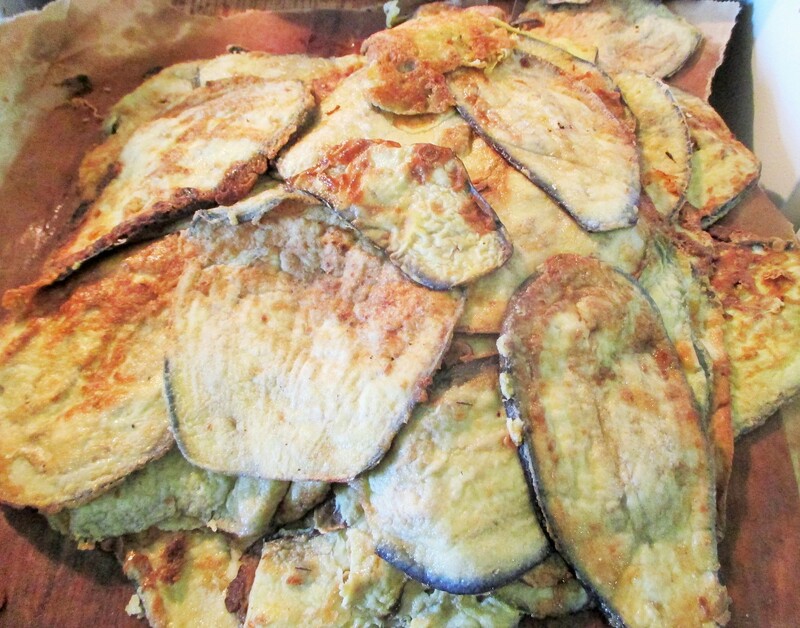 I fried and froze 18 eggplants for winter Eggplant Parmesan! It’s my favorite food in the world. There are many more still growing in the garden. The bees make a big difference here and have pollinated like crazy. We actually froze two butcher shop lugs full of peppers!!! 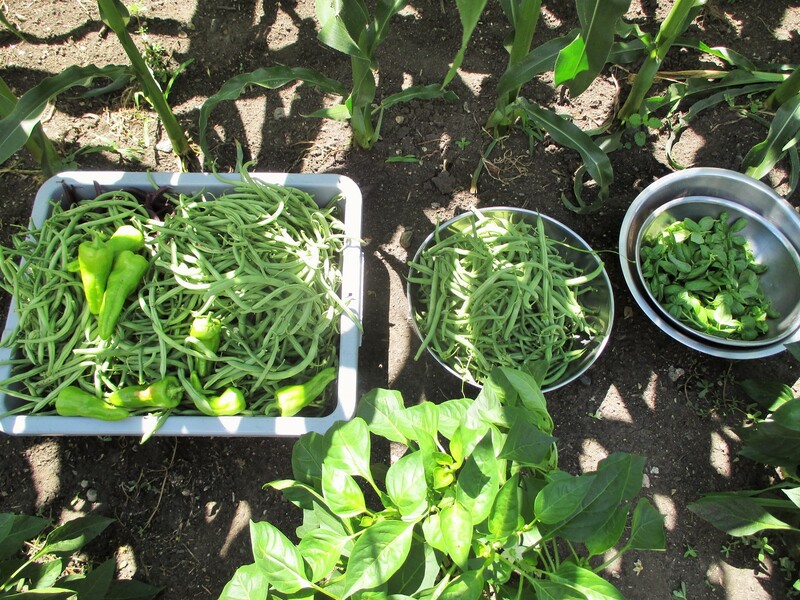 There are 30 quarts of green beans put up so far and they slowly produce over and over again. Fried eggplant ready for the freezer. The potato crop this is year is huge! I have never seen such large taters and they are delicious and very, very early. They have been ready for a month and Fred would like them three times a day, as usual. 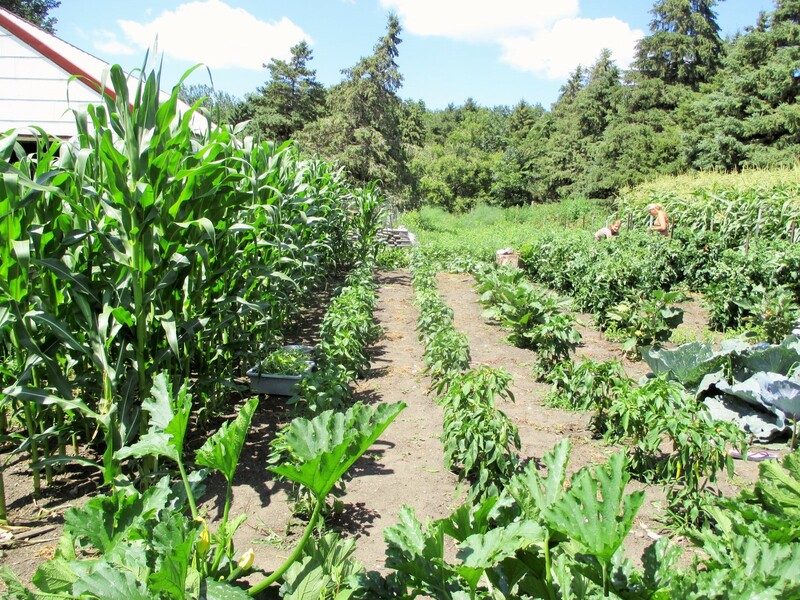 Fresh, organic, home grown food is well worth the work. The back garden 4 weeks ago. Pop corn on the left, sweet corn on the right. 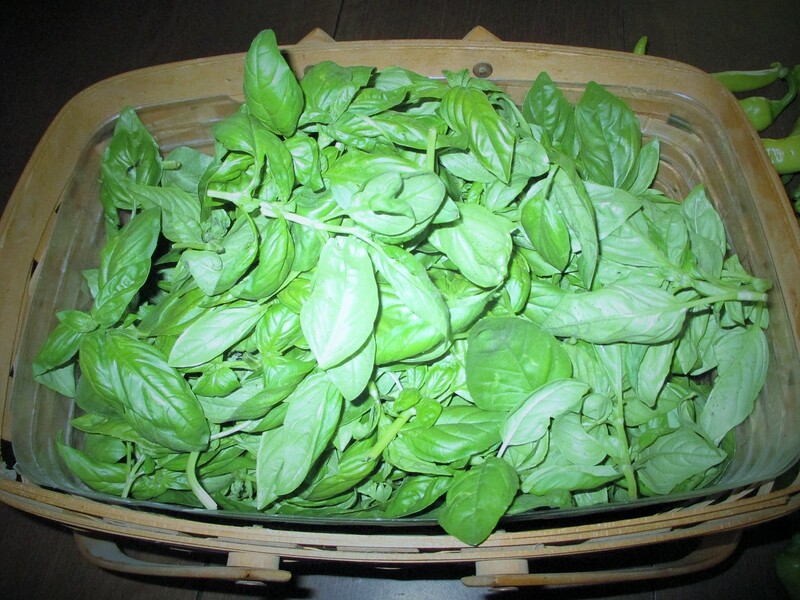 Sweet Italian Basil! We have harvested this 5 times so far. This is a must in my kitchen. 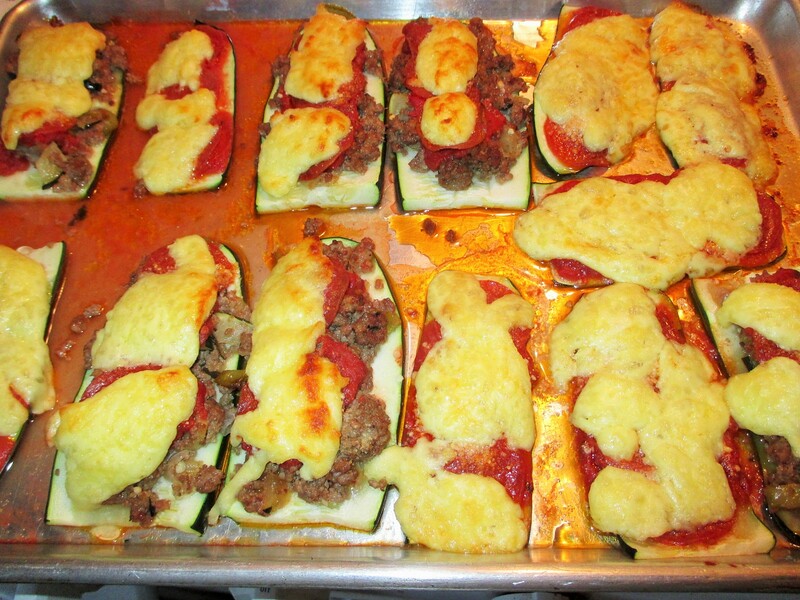 Zucchini pizza. Wow this is really good. Great crop of early tomatoes. We eat this salad at least one meal a day. 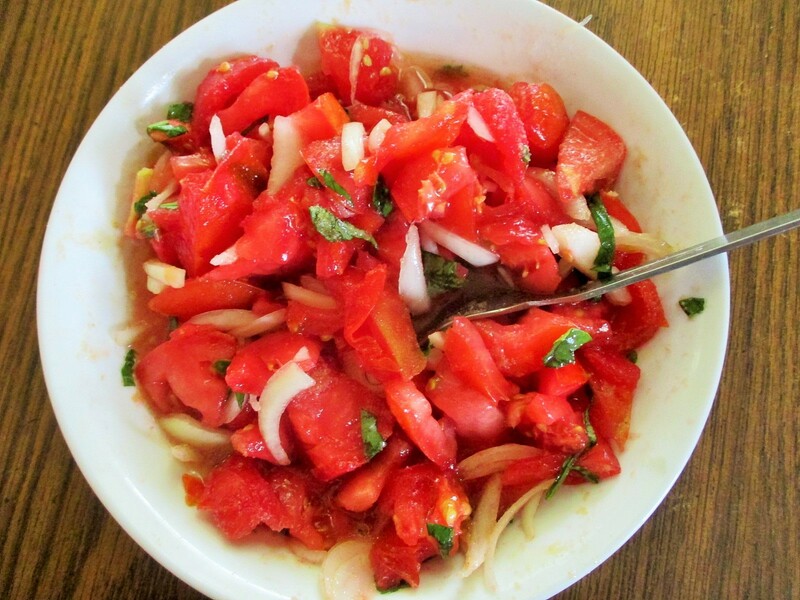 Tomatoes, sweet onions, sweet basil, salt, garlic, garlic and more garlic, drizzle with olive oil. 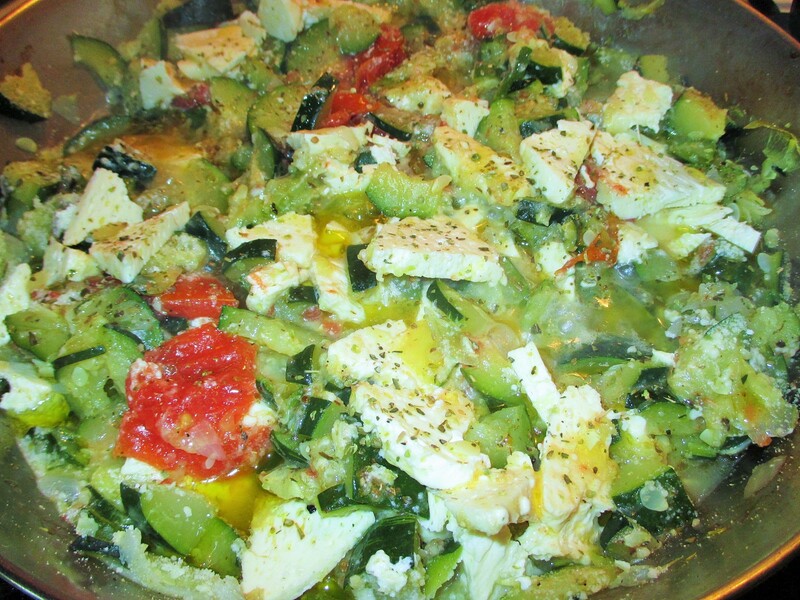 YUM Some like cucumbers or green peppers in this as well. September will bring even more farm work but it is a very good feeling knowing that our work will last all winter and spring long. 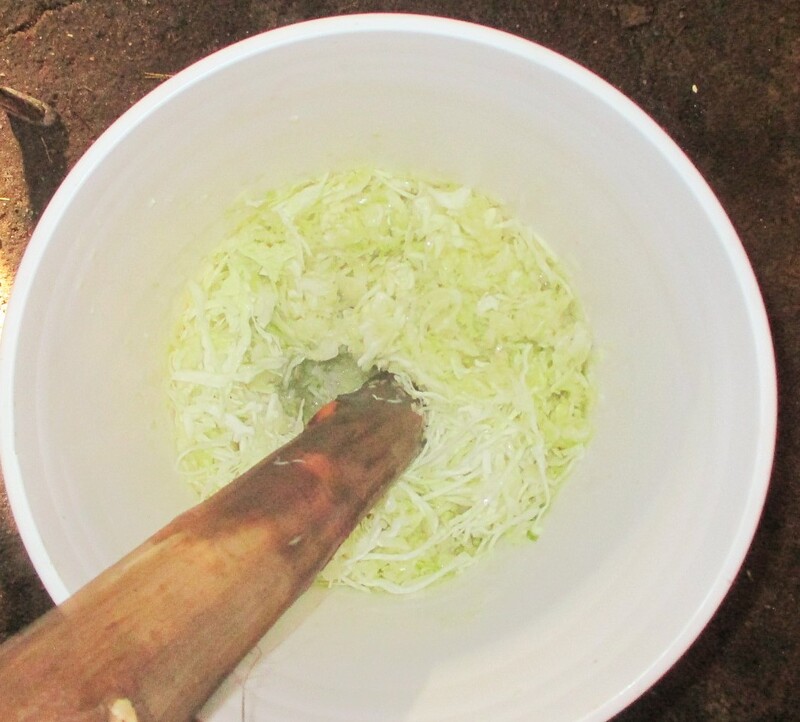 We’ll be eating healthy, chemical free foods that are already paid for. In case you haven’t noticed, prices are getting higher in the grocery store. I keep telling myself, one thing at a time because otherwise, this produce that has to be put up can be very overwhelming!! I turned 54 !! This is Kallie and I. Thankful for life, which is good!! No you can’t eat these 😉 This is a tray of rocks that Bella bought home from Wyoming for me. 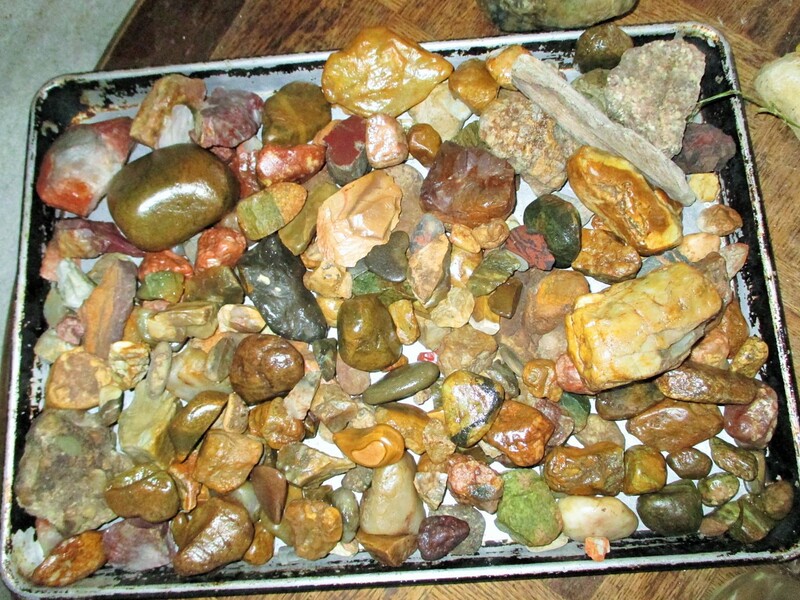 I am a rock hound on my spare time. And now this update is late. We have company for a week and have lots of help and great fun. 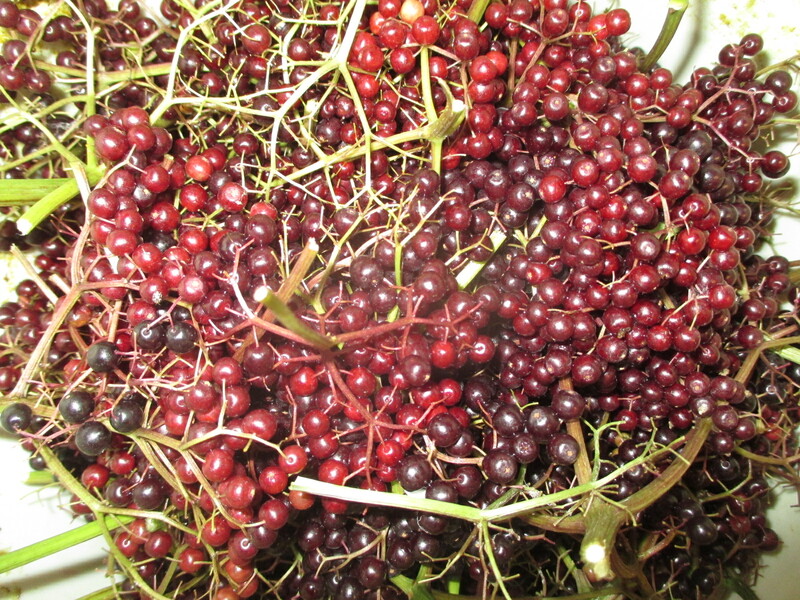 More produce has been harvested and put away thanks to our helpers from South Carolina. Looking forward to the barn dance tomorrow night at the Fonders. Life is good by golly! But…….not easy. This entry was posted in EVERY DAY FARM LIFE and tagged Callens Farm. Bookmark the permalink. 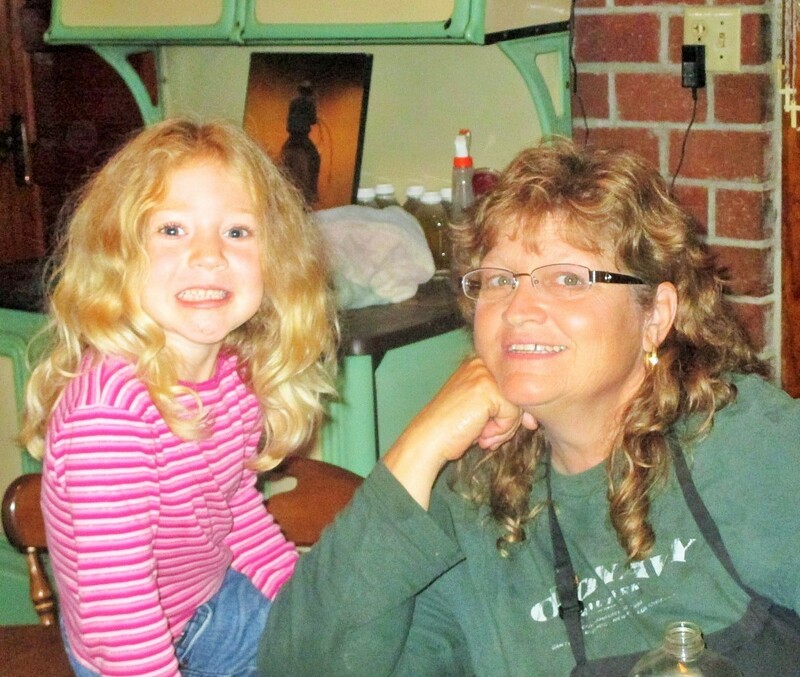 you sure don’t look 54; and that Kallie is a doll!